Bucket lists are all the rage these days aren’t they? 100 things to do before you die, 50 places to see before 50, 5 things to do before you’re 5 (ok I made the last one up but the top 3 is surely sewn up with walking, talking and not wetting the bed). When we travelled to Peru to hike the Inca trail, we were in a group with ‘Don’, a 75 year old grandfather ticking off one of his bucket list tasks. He loved it, we loved him. Inevitably he got us thinking about this trip we are about to embark on. Would we have to wait another 45 years before we got to do our bucket list? Would we be around by then? That was a risk we weren’t willing to take. We were inspired by Timothy Ferris’s attitude in his best seller ‘The Four Hour Work Week’ where he talked about ignoring the deferred life plan of retirement when you reach retirement age, to setting up a series of ‘mini-retirements’ throughout our life. The first was a 7 week trip to Asia. The second a 4 week trip to Peru and North America. We used our trip trip to Peru as a test case for a round the world trip. How would we get on? Were we really adventurers? How long would it take from getting home to wanting to go away again? Not long it turns out. 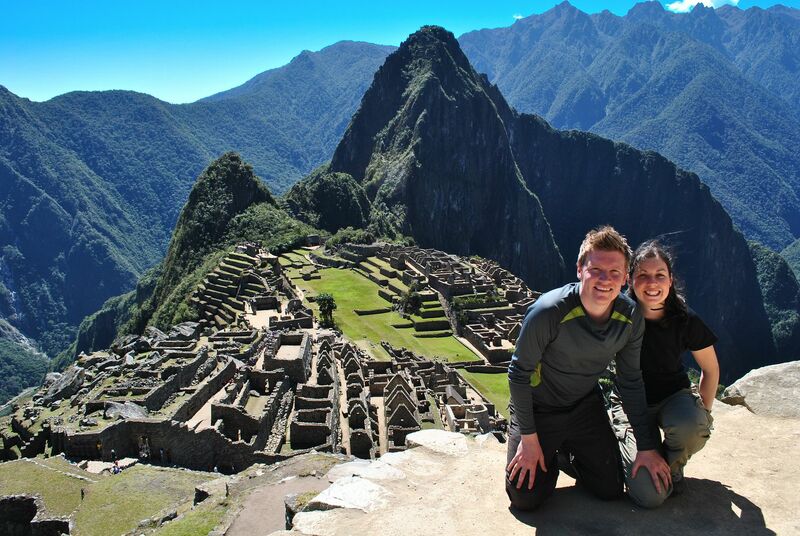 We had an amazing time in Peru, and we took the easy option and booked a tour through G Adventures for 15 days. The tour took in many of the key things to do in Peru, including Lima, Puno, Lake Titicaca, Cusco, the Inca Trail, Machu Pichu and a couple of days in the Amazon jungle of Peru. We had a brilliant time with a great group of people and would highly recommend it! Whilst we’re unlikely to book any organised tours on our year away (because we have time on our side), they are perfect for those people who have 2 to 4 weeks spare, and want to go on an action packed adventure. Highlights for us? Machu Picchu (obviously), Lake Titicaca and the Amazon. Honourable mention to Cusco for being very cool and relaxed. We started in Lima, before jetting off to Puno for an overnight stay (and to acclimatise to the altitude). As luck wouldn’t have it, our room was on the top floor of a hotel which didn’t have a lift – nightmare. Even though the hotel was only three stories tall, we still had to take a break on the third flight of stairs giving us an eerie 40 year flash forward of things to come! 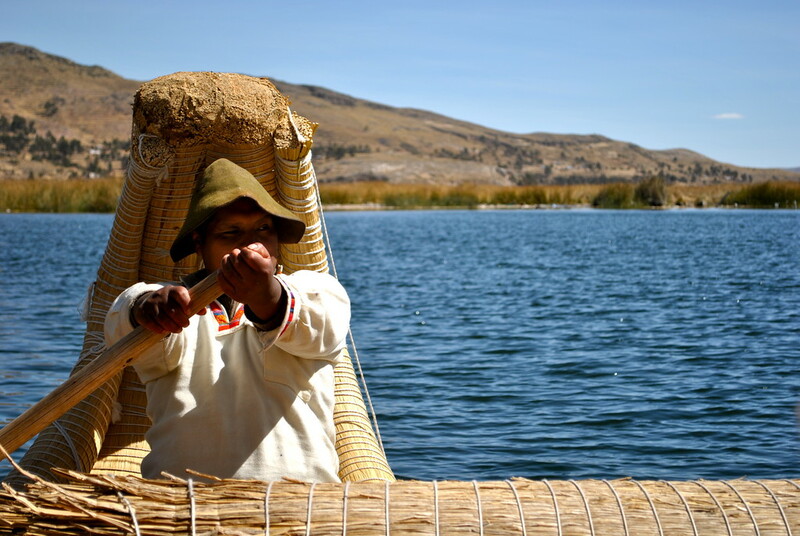 After Puno, we set sail across Lake Titicaca, and visited the floating Uros Islands and a homestay. Two very different experiences. In all honesty we didn’t find the floating Uros Islands particularly interesting, it all seemed a little too touristy (a bit ironic coming from a couple on a tour I know) but we weren’t really impressed with it. We did take a boat tour whilst we were there which was interesting, but otherwise we left the place feeling disappointed and underwhelmed. The homestay on the other hand was an incredible experience, and one will we never forget. This was a chance to experience real, authentic Peru and we weren’t disappointed. Our hosts were fantastic, didn’t speak a work of English and lived in relatively basic accommodation. We were asked to provide presents in the form of food (which the family would then cook for us) and toys for the local school. Our family were the perfect hosts, cooking up a fantastic meal of soup and potatoes, Peruvian food again impressing us. Aside from eating some of the best soup ever created, we again couldn’t find a hat to fit my head. This was the first time I had five women literally running around a market trying to find a hat that would fit my head…”no no no, mas grande, mas grande!” was all I could hear as the market chuckled at the size of my skull. And then onto the embarrassing part, being dressed in traditional Peruvian clothing and taken to the school where we would perform traditional Peruvian dancing! Now a couple of things, one I cant dance. I have no natural rhythm. Secondly, I have major issues finding hats that fit, so trying to perch a small Peruvian hat onto my head made me look more like a gringo than I could ever imagine! After that it was off to Cusco, the Inca Trail and of course, Machu Picchu. Did we get the postcard photo? Of course we did! Peru was brilliant and highly recommended! It’s somewhere we will continue to return as it offers so much for one country! As Don taught us in Peru, its never too late to do these things. It’s also never too early. While I was in Peru/Lima I was lucky enough to have met 2 women who had just finished a 7 year stint guiding with G adventures in Peru for exactly the type of trip you guys experienced. They were hungry for some adventure of their own rather than guiding people for a change. It was destiny. The three of us did some trips near Lima and now the 2 of them have formed their own guide agency. Talk about lucking out with new friendships! All their GAdventure experiences made our trips a smooth and authentic experience. I love your photos from the home stay. Looks like a great experience! Sounds like a great experience Crystal, where did you go near Lima? Our adventure with Gadventures kick started our wanderlust fully so we’ll always be grateful for the experience! The homestay was fantastic, it was the first we ever did and still ranks as the best, the setting, the people, the food – wow. 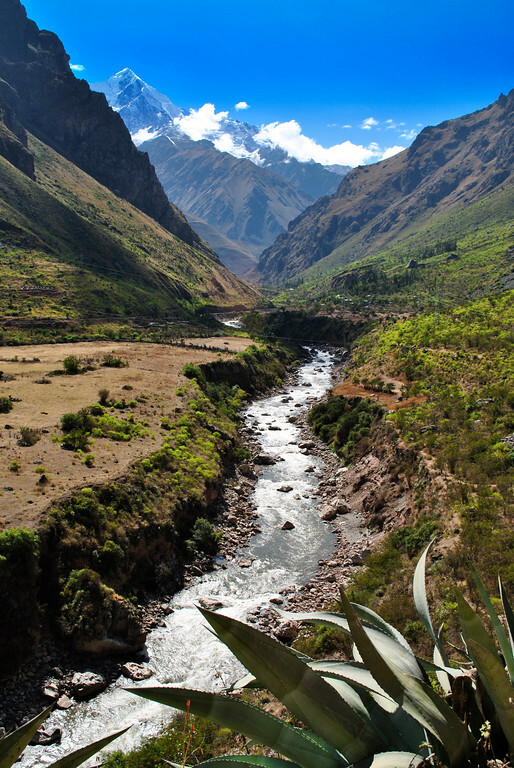 Gorgeous pictures of Peru! I plan on visiting next year with my brother and his wife who is Peruvian. Thanks Brianna, where are you planning on visiting? We’ve been to Peru twice now and it still ranks as potentially our favourite South American country! Haha great Melodee! Glad to be of help! 🙂 Hope you have a wonderful trip!